W. Sloan Goforth, Attorney at Law, has many years of experience in the various aspects of family law, including child custody & support, in Statesville, NC. Perhaps the most challenging aspect of divorce proceedings comes from the child custody & support portion of divorce. While the vast majority of parents will say that they only have the best intentions of their children at heart, these proceedings can take time, effort, and money in order to resolve the legal aspects of child custody & support. Having a legal advocate on your side during these potentially acrimonious proceedings can make sure that any children who are a result of the marriage are cared for and supported by both parents in a way that is equitable, fair, and balanced to all parties. Understanding your state’s child custody system and the various factors in the lives of the parents or those with legal guardianship or custody can help you to both support your children and preserve your rights as a parent. The needs of blended families and other circumstances make the intersection of family law one of the most important arenas for many families and can include child custody & support, divorce & division of property, spousal support, child abuse, child abandonment, child neglect, and provisions intended to safeguard the property of parents and the potential future needs of their children. 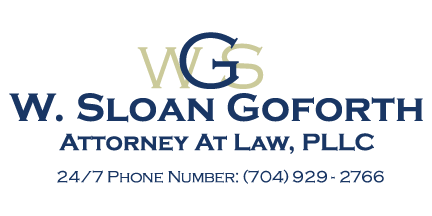 W. Sloan Goforth, Attorney at Law has years of experience helping families in and around Statesville, NC for many years. His experience and knowledge of the various aspects of family law, including child custody & support, allow him to help his clients make the best decisions for themselves, their minor children, and their future. At the office of W. Sloan Goforth, Attorney at Law, we can help with child custody & support cases for residents of Statesville, Troutman, Taylorsville, Mocksville, Mooresville, Hickory, Iredell County, Alexander County, and Davie County, North Carolina.